Relax. Sit down. Enjoy. Connect. The Wasatch Mountains have long been a natural sanctuary and retreat for Utah’s residents; offering clean spring water, pure mountain air, diverse recreation opportunities, and seemingly boundless wilderness areas called home by moose, mountain lions, mountain goats, deer, as well as numerous other species. Mountain Accord was created by a collaboration of government, business, private, and special interest groups in hopes of solving the rising current and foreseen future problems of the Wasatch Mountains in regard to transportation, recreation, economics, and environmental issues. The Mountain Accord proposal is an ongoing liquid process intended to evolve based on public opinion. The committee holds public forums where local residents are encouraged to get involved, ask questions, and discuss alternate solutions. A large driving force behind the Mountain Accord is Utah’s Ski Industry and its immense impact on Utah’s economy. The Mountain Accord intends to impact Little and Big Cottonwood Canyons as well as Parley’s Canyon and the corresponding resorts: Canyons, Park City, Brighton, Solitude, Alta, and Snowbird. The proposal tackles the ever growing problem of transportation to and from these recreation areas. Due to the narrow single lane roads ascending Little and Big Cottonwood Canyons, traffic (especially in the winter time) becomes exceedingly congested, forcing motorists to wait hours before they are able to get to the ski areas. For example, on a powder day, traffic to Snowbird and Alta (located in Little Cottonwood) can be backed up as far as the I-215 exit ramp on 6200 S; which is approximately a 12 mile distance. The proposal also discusses creating connections between the resorts for easier access, so skiers and snowboarders can visit more than one resort in a single day more effectively. The proposed project suggests building a tunnel through the mountain to connect Brighton and Alta resorts, rerouting a ski lift to connect Big Cottonwood Canyon and Canyons / Park City resorts, as well as creating a train and/or more extensive bus system to shuttle visitors up Little Cottonwood Canyon. influx of visitors, potentially exceeding the carrying capacity of the canyons and putting excessive pressure on the canyons’ resources. Expansion of these roads could also eliminate hiking trail heads or rock climbing locations in the canyon. This is all compounded by the fact that the proposed costs for these expansions could reach 3 billion dollars and there is as of yet no plan of how to pay for it. Alongside all of this development, Mountain Accord does have plans for conservation efforts. They are currently working to identify available private lands in the Cottonwood Canyons and purchase them to place these lands under public protection. This will place strict boundaries on the ski resorts, preventing them from expanding to undeveloped lands on the slopes. These restrictions will be made in exchange for the resorts expanding their holdings at the base of the mountain. There are additional efforts to improve and promote public transportation up the two Cottonwood Canyons, reducing overall traffic. This reduction in traffic would reduce pollution in the area, improving local air quality and maintaining the quality of the Wasatch watershed. This all comes with a unanimous vote on July 13 to move forward with the plan which includes upcoming studies that will examine all ideas of connecting the various ski resorts, including leaving them unconnected. While the Mountain Accord has established a blueprint to accomplish their goals, it is not set in stone. “There is this misconception that the blueprint is making a decision and it’s not,” project manager, Laynee Jones stated in an interview with Desert News. The plan is always susceptible to change from public opinion and there is a fear that the plan is open to manipulation down the road from those looking to modify it for personal gain. This fluidity means the community must remain vigilant in monitoring the program as it develops. If you feel strongly about the issues raised here, contact the Mountain Accord organization at mountainaccord.com and let your voice be heard in shaping the future of the Wasatch Front. How You Can Tell If A Mantis Shrimp Has Color Vision???!!! Where do Spiders go in the Winter? Andree' is the Executive Director of the Utah Society for Environmental Education. Before working at USEE, Andree' was part of the USU Water Quality Extension in Logan, Utah. A special thanks goes out to Angela Dean, Sandra McIntyre, Joe Bravo, Nicole Thomas, the BLM Utah State Office, and the Utah Society of Environmental Education for submitting photos for this slideshow. To view more information about each picture and to give credit to each of these wonderful photographers, please double-click on the photo of your choice. 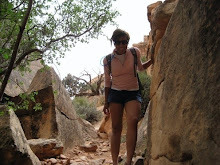 Charice is the Programs Manager at the Utah Society for Environmental Education. She is usually found biking around town or combing through history books, mostly about the French Revolution, but currently she has been diving into the political history of Iran, specifically that of the Iran-Iraq War (1980-1988). She manages USEE's professional development and volunteer programs, as well as projects associated with environmental justice grants. Her professional and personal interests focus around sharing information to inspire and motivate others to connect with their natural environments and to identify the great value in our local, natural resources. Marta is the Administrative Coordinator at the Utah Society for Environmental Educations. She is currently a senior at the University of Utah, pursuing degrees in Environmental Studies and UrRban Planning. The Utah Society for Environmental Education (USEE) is a statewide nonprofit organization dedicated to promoting quality environmental education in Utah. USEE aims to create an informed environmental citizenry by teaching Utahns how to think, not what to think about the environment. USEE’s efforts will help ensure economic, social, and environmental sustainability for Utah. Please visit us at www.usee.org.